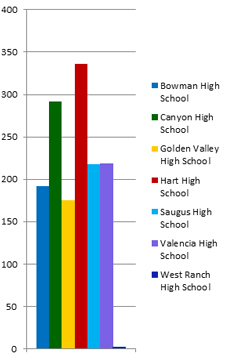 School Safety Zone – Drive. Focus. Live. 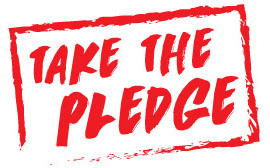 Remember to safely share the roads with school buses, pedestrians and bicyclists, and provide children with the necessary knowledge to stay safe at school. Understand your child’s limitations. They may not be able to judge speed and distance from oncoming traffic accurately. They are also smaller and harder for drivers to see. Children learn through experience, teach them the safe way to walk to school. Always cross street corner where there are traffic signals, designated crosswalks and stops signs. Never cross the street distracted. This includes while on an electronic device, texting, talking on a phone or with headphones on. Always look left, right and left again before crossing the street. Beware of cars that are turning or backing up. Never run out into the street or cross between parked cars. Darting into the street accounts for the majority of child pedestrian fatalities. Never walk to or from school alone if you are a child, always stay with a school friend, family member, or trusted neighbor. If walking when it’s dark or hard to see, wear bright-colored clothes, and carry flashlights or wear reflective gear. 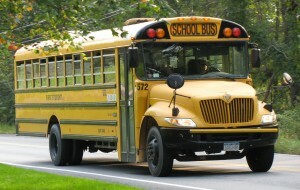 Never wait for the school bus in the roadway! Learn the safety rules for waiting at the bus stop, getting on and off the bus, and riding the bus. 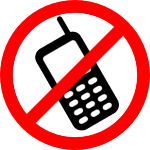 No cell phone use while driving! Keep your eyes focused on the road and get off your phone! No calling or texting while driving in the school zone! Please follow these safety tips taken from the National Safety Council website. Check out our Respect is a Two Way Street safety campaign. School crossing guards play an important role in the lives of children who walk or bicycle to school. Crossing guards help children safely cross the street at key locations. 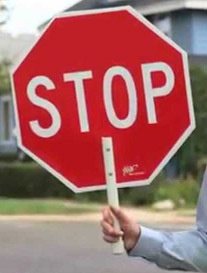 Teach your child to pay attention to the crossing guards whistle, stop sign, and hand signals. 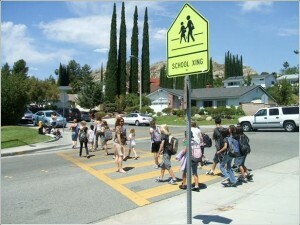 Drivers need to remember it is the safe crossing of children in the crosswalk that is the priority.